Soon after stepping in to the director’s chair left vacant by Colin Trevorrow (Star Wars: Episode IX), A Monster Calls and The Impossible helmer Juan Antonio Bayona hinted that Jurassic World 2, Universal’s blockbuster sequel due for release in 2018, will feature stronger ties to the ’93 classic. It wasn’t until the casting of Jeff Goldblum that we began to form an understanding of that connective tissue in question, even if the finer details are being kept locked away in the vaults of InGen. 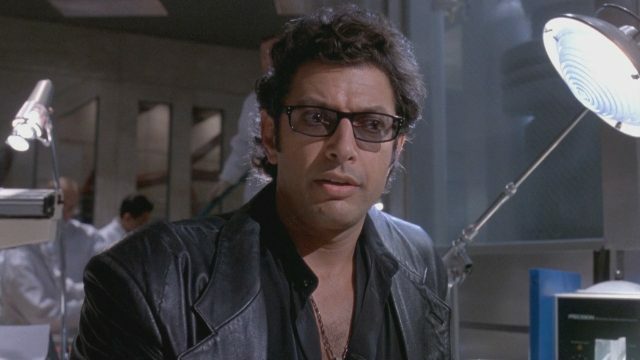 What we do know is that Goldblum is back on board to reprise the role of Dr. Ian Malcolm, a smooth-talking mathematician who went on to become something of a cult hero among Jurassic Park fans – the .gifs of Goldblum’s cackle alone are proof of that status. Malcolm cropped up in the Jurassic Park universe four years later thanks to the launch of The Lost World, but Jurassic World 2 will herald the first time that Jeff Goldblum has dabbled with man-made dinos in almost a decade – you know what they say about life finding a way, right? Even though some might say it’s popcorn-y entertainment (top-notch, of course), in our conversation he was very focused on the serious issues of greed as it oftentimes comes up in those movies and the marvels of science and reason and the very fascinating point at which our species finds itself both in real life and in this imaginary world too. I’m very interested in that myself, so I’m looking forward to this. Jurassic World 2 is a sequel that’s been described as scarier and darker than its predecessor – aren’t they all? – and it’ll be with us on June 22nd, 2018. Closer to home, Jeff Goldblum also has a part to play in Taika Waititi’s Thor: Ragnarok. Look for that one to arrive on November 3rd of this year.